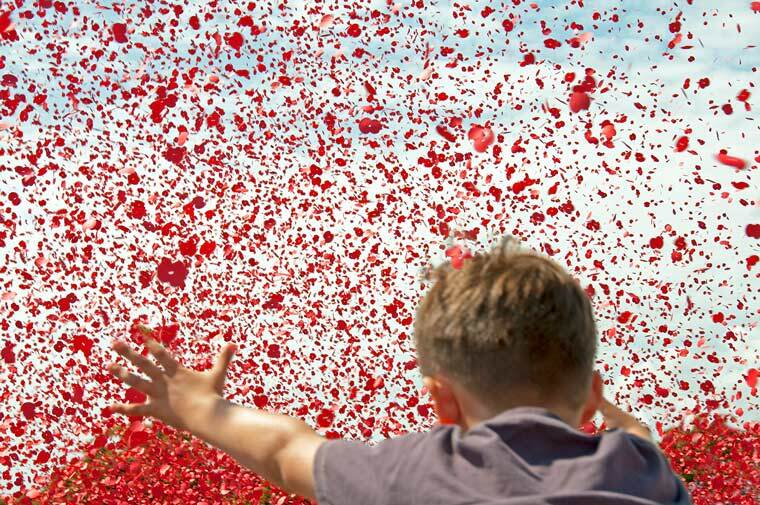 The release of a ‘Poppy Explosion’ of 2016 poppy petals from the roof of the Barrington Theatre will launch Dorset’s Poppy Appeal, which will be opened by the county chairman of the Royal British Legion. The special event will take place on Saturday 29 October in Penny’s Walk. It will include a Young Poppies children’s parade led by the Bournemouth Youth Marching Band and a Best Young Poppy competition. Businesses and offices in the town centre will also be invited to take part in a best-dressed window competition before a presentation to the Mayor of Ferndown. The day will continue with performances from local artists and bands from Live: Ferndown. Chairman of Ferndown Royal British Legion, Grant Parrott, in thanking Ferndown town centre and the management of the Barrington Theatre for their help and hard work over four months to secure the award of the county launch, believes it will be a big day for Ferndown and will bring people together to lead the whole of Dorset in supporting the nationwide appeal. The Poppy Appeal collects over £44 million each year and enables The Royal British Legion to spend over £1.4 million every week in caring and supporting serving and ex-services men and women and their families whenever and wherever it is needed most. The following day (30 October) there will be a Remembrance Concert at the Barrington Theatre with the Ringwood and Burley Band.